As you know, I like to have projects for my classes that my students are able to achieve with ease, but that are also stunning, so they are amazed by their own ability. This can be a challenge and it does mean that I sometimes have two options so they are able to chose the one they feel is right for them. This is one of those projects. 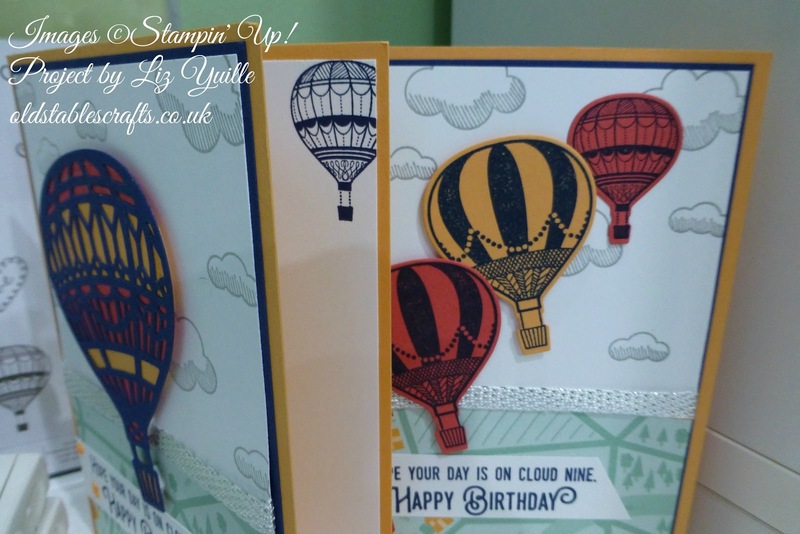 I wanted to use the Up & Away Dies as an introduction to using the Big Shot, but I was concerned that the filigree die may be a bit of a challenge for some of my students, so I also included the option of stamping the smaller balloons and die cutting those; I actually think I prefer the stamped option. What do you think? 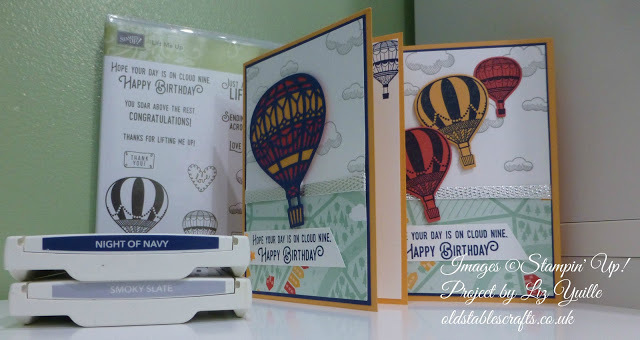 Other than which balloons you use, the construction of the card is the same, featuring both the Carried Away Designer Series Paper and the Metallic Combo 3/8″ Ribbon from Sale-a-Bration. You should already know that these limited items are only available FREE, with a Qualifying Order of £45 (excluding P&P), one item with each £45 or multiple (two items with a £90 order etc). I am going to be so sad to see these go, so am hoping to stock up with as many FREE items as my budget will allow before the end of March.